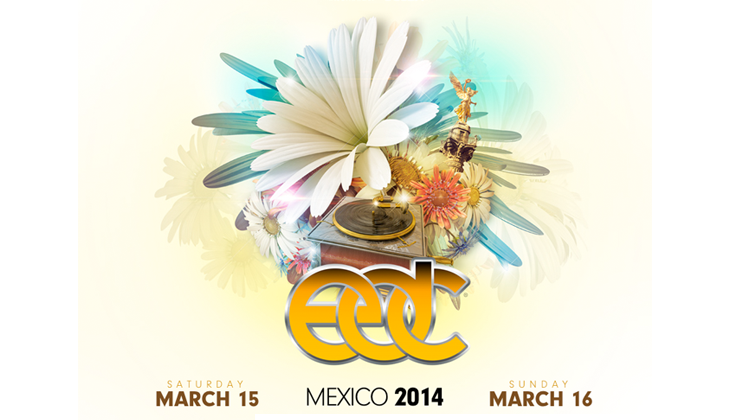 Insomniac is quickly preparing everyone for their newest event, EDC Mexico. It was an early Christmas when they announced that they were taking EDC to Mexico this coming up March and now they just released phase 1 of their lineup. The first phase is extremely dirty and easily compares with all the other festivals that are taking place. Avicii is headlining, but there are so many other amazing artists such as Steve Angello, Flux Pavilion, Borgore, Krewella, Showtek, Headhunterz, Bloody Beetroots, Clockwork, TJR, Zeds Dead, DJ Snake, Destructo, Mat Zo, Boys Noize, and more! What I am most shocked about is that I saw Bingo Player’s name on the list! As you recall, the tragic passing of Paul Bäumer and Maarten deciding to cancel all Bingo Players shows. I guess he is doing what Paul would have wanted, the show to go on. Expect a lot more surprises to come though! 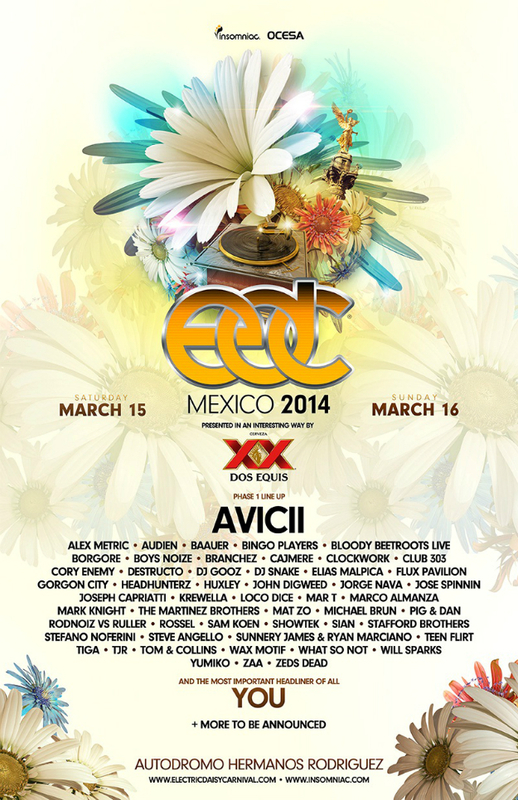 EDC Mexico is taking place on March 15th and March 16th at Autódromo Hermanos Rodríguez. General admission tickets cost about $131.52 while VIP tickets cost about $314.35 (converted pesos to dollars). Check out the video and first phase lineup below!